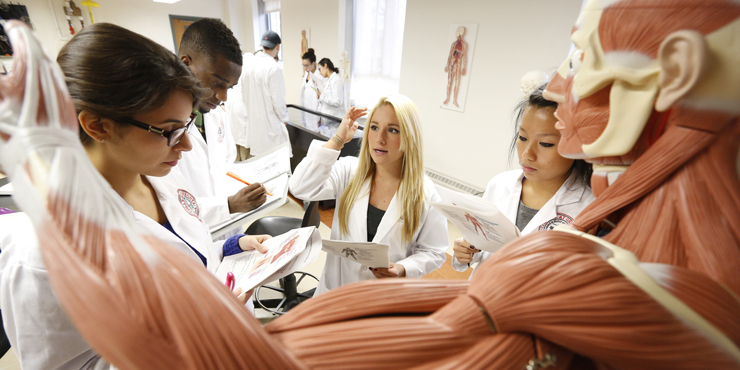 SUNY Oneonta offers nine Pre-Health Advisement Tracks to prepare students for admission to schools of medicine, dentistry, veterinary medicine, physical therapy, occupational therapy and other health professions. The Pre-Health Advisement Track includes the following options: Pre-Medicine, Pre-Dentistry, Pre-Veterinary Medicine, Pre-Physical Therapy, Pre-Occupational Therapy, Pre-Physician Assistant, Pre-Pharmacy, Pre-Optometry, and Pre-Chiropractic. complete a similar suite of courses during the first two to three years at SUNY Oneonta. are encouraged to consider nationwide and global healthcare professional school opportunities. can choose from a variety of majors, including: Biochemistry, Biology, Business, Chemistry, English, Music, Psychology, Sociology, Spanish, or others. are dual-advised and encouraged to consult with their primary major advisor and a pre-health advisor to ensure timely completion of all requirements. can generally complete all coursework prerequisites for any of the healthcare professions with any major at SUNY Oneonta.